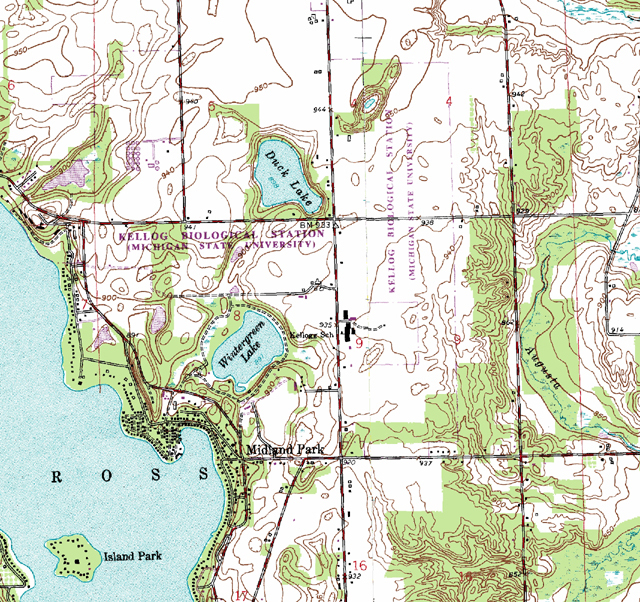 Digital Raster Graphic maps are scanned images from the United States Geological Survey (USGS) topographic map. This map is georeferenced, meaning that their features are tied into a coordinate system, a datum, and a map projection. The raster image has border information included. This map shows an image of the land and water areas around Michigan State University.